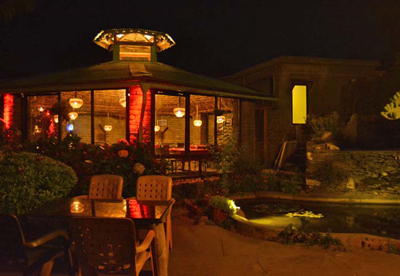 Mohan’s Binsar Retreat is a very special property overlooking a wonderful valley with breath taking views of layers of mountains with enchanting surroundings. Mohan’s Binsar Retreat is just 6Km from downtown Almora which is a wonderful small hillock covered with cedar trees, rhododendron, and with a two thousand year old Kasaar Devi temple at the top the hill. 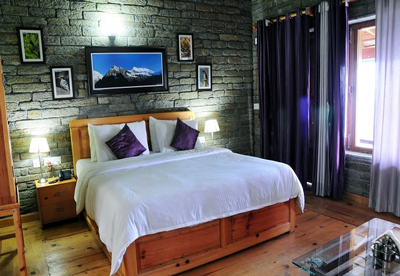 A wide range of snow clad Himalayan peaks add to the beauty of the Mohan’s Binsar Retreat. 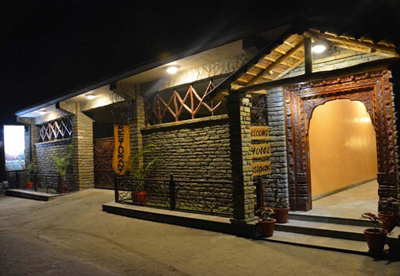 The cottages are equipped with all amenities and facilities. Mohan’s Binsar Retreat boasts of sumptuous food at its multi cuisine restaurant, warmest hospitality and personalized attention to its guests. There are miles of picturesque valley views and one can have panoramic view of the legendary Himalayas, each cottage has a verandah from where you can enjoy the spellbinding view of the mighty Trishul, Nandadevi, Maiktoli, Mrightuni to name a few. Melodious chants from the nearby Kasar Devi temple and warm sunrise from the distant snow clad Himalayas make a memorable and rejuvenating start of the day.